The cozy Fagel Suite has an en-suite bedroom, a kitchenette with a seating area, and a living room with a super comfy queen-size sofa bed. 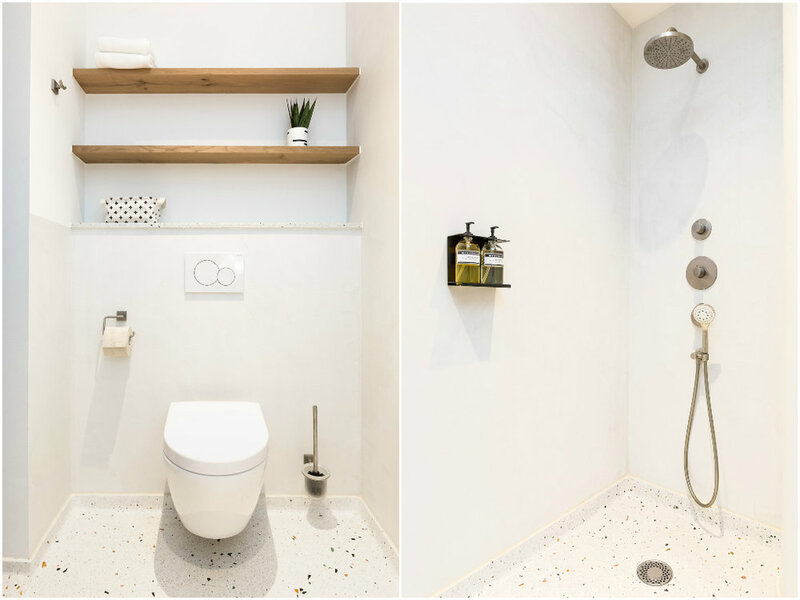 The bathroom features a rain shower and our signature terrazzo flooring. Steel-reinforced doors separate the living from the sleeping area for optimum privacy. The suite is very light with a direct view onto the canal.